Sweet tooth? We have the soap kit for you! No two bars will be the same when you make this sweet as candy soap loaf. 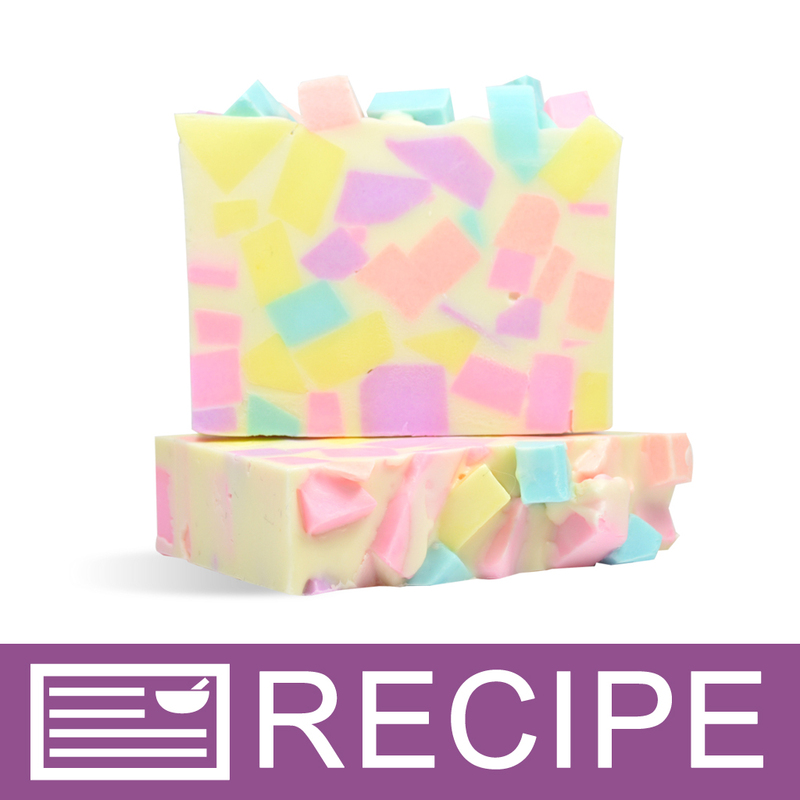 Multi colored soap chunks paired with our mouthwatering Candy Crush fragrance oil will certainly appeal to the sugar loving sweetie in your life. You Save $13.35 by purchasing this kit rather than buying the items separately. COMMENTS: I bought this kit for my daughter to practice with since my CP soap recipes scare her. she had a blast following the directions on this kit. It was easy for her to understand and follow *she is 12. It smells very much like candy and she loves the smell. She was able to fill the mold that came with the kit and had to use one of my molds as well. She still has left over soap base to play around with. This was a great kit and She looks forward ordering another to try. COMMENTS: This was a fun soap to make. My kids even had fun helping make some. They loved the smell of it and wanted to use it right a way. I noticed that it took about an hour to a hour and a half to make a loaf of candy crush. I would put the scent in the base soap, that is one thing that isn't clear. COMMENTS: This was my first ever M&P soap, and it was very easy! I had enough "left overs" to make sample bars; then I reordered more white M&P to make a whole other batch from this one kit! This soap smells divine and lathers quite well - this has been my favorite loaf so far!